장항리사지는 토함산 동쪽의 한 능선이 끝나는 기슭에 마련된 절터로서, 절의 이름을 정확히 알 수 없어 마을의 이름인 ‘장항리’를 따서 장항리사지라 부르고 있다. 이 곳에는 현재 금당터를 중심으로 동탑과 서탑이 나란히 서 있는데, 1923년 도굴범에 의해 붕괴된 것을 1932년에 복원이 가능한 서탑만을 새로이 복원해 놓았다. 동탑은 1층 탑신(塔身)과 5층까지의 지붕돌만 남아있으나, 서탑은 약간 소실된 것을 빼고는 비교적 온전하게 보존되어 있다. 서탑은 2단의 기단(基壇) 위에 5층의 탑신(塔身)을 갖추고 있는 모습이다. 기단부는 비교적 넓게 만들어져 안정감이 있으며, 네 모서리와 각 면의 가운데에 기둥을 본떠 조각했다. 탑신부는 몸돌과 지붕돌이 각각 하나의 돌로 이루어져 있으며, 1층 몸돌의 각 면마다 문을 지키고 서 있는 한 쌍의 인왕상(仁王像)을 조각해 놓았다. 지붕돌은 밑면에 5단씩의 받침을 두고 있고, 경사면은 평평하고 얇으며 네 귀퉁이는 뚜렷하게 치켜올려져 경쾌함을 더하고 있다. 5층 지붕돌 꼭대기에는 머리장식을 받치던 네모난 받침돌만이 남아 있다. 탑의 1층 몸돌 각 면에 한 쌍의 인왕상을 정교하게 조각해 놓은 것이 특이한데, 이러한 현상은 8세기 전반기에 처음 나타나는 것으로 이 탑의 독특한 특징이 되고 있다. 전체 비례가 아름답고 조각수법도 우수한 8세기의 걸작품으로 평가되고 있는 이 탑은 통일신라시대의 석탑 연구에도 귀중한 자료가 된다. 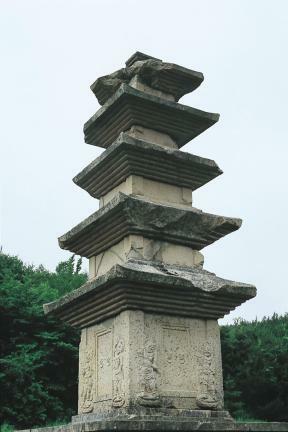 This Five-story Stone Pagoda is one of the two that once stood in front of the main Buddhist hall of a Silla temple that has long disappeared. The original name of the temple is unavailable for now. 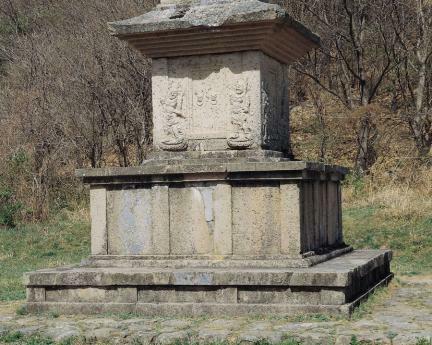 As the temple was located in a village named Janghang-ri, this site is called Janghang-ri Temple Site. 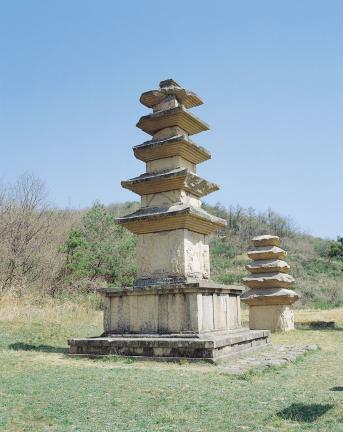 The two pagodas were torn down in 1923 by thieves. 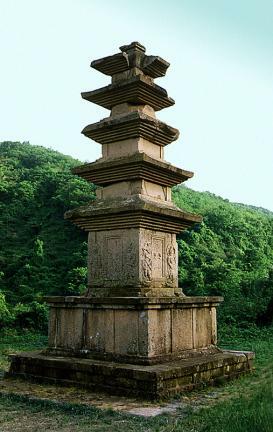 Of the two, the West Pagoda was restored to nearly its original shape. 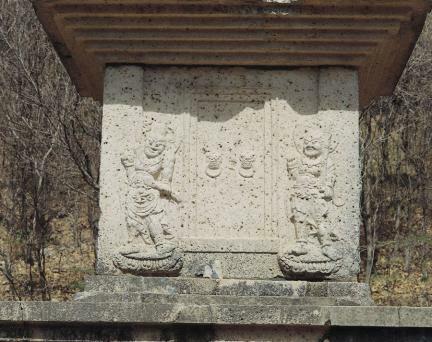 The body of the first-story and five roof stones are all that remain of the East Pagoda. 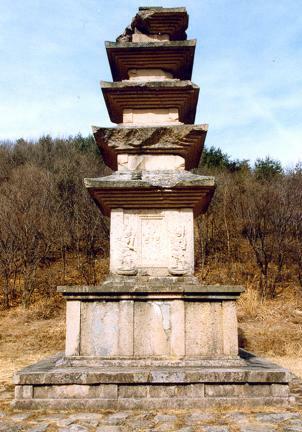 This 9.1-meter-high pagoda has a two-tier foundation. 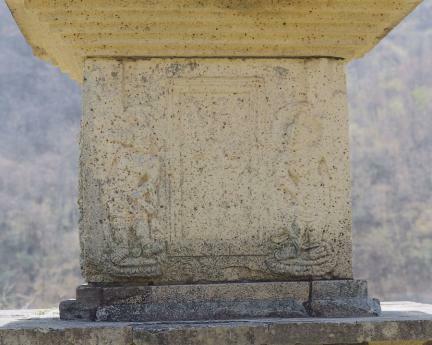 Columns and pillars are carved on all sides of the brood foundation. The bodies and roofs are made of separate stones. The roofs, which are rather thin and flat, are remarkably upturned at the corners. All the roofs have five-stepped cornices. Only the base remains of the ornamental top portion, or the final and marks on the corners of the eaves suggest that wind-bells hung there. 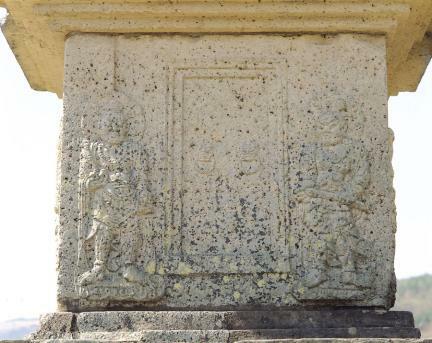 The pagoda is noted for the carving of door shapes on the first story, each of which is flanked by images of Vajradhara, the guardian deity of Buddhism, which appeared for the first time in the first half of the 8th century. 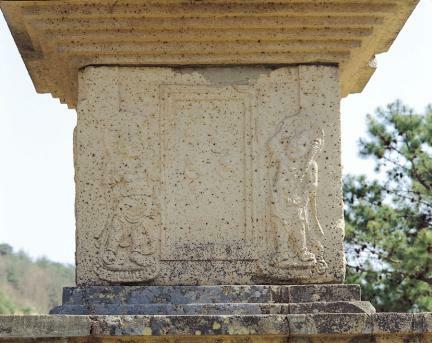 Overall proportions and excellent sculpturing make this pagoda a masterpiece of eighth-century Silla pagodas.